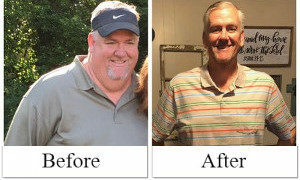 Below are various gastric sleeve success stories with before and after photos from real patients who have undergone surgery with Mexico Bariatric Center – losers bench. Mexico Bariatric Center uses an evidence-driven approach to gastric sleeve surgery along with aftercare and nutrition support. This is why we have some of the most beautiful patient transitions ever! If you’ve undergone surgery with MBC, we encourage you to send us a testimonial or photos – please contact us. I was sleeved on October 21, 2017. I am a 48-year-old male that is 6’7. At my heaviest, I weighed over 370 pounds. I was at 360 when I started my procedure. I currently weigh 220.4 pounds. I lost 140 pounds in 126 days. I know my results are probably not typical but I am living proof that it can be done. 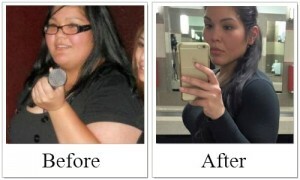 Maria lost over 75 pounds in six months and looked incredible. With gastric sleeve surgery, many patients can expect to lose sixty pounds or more in six months. 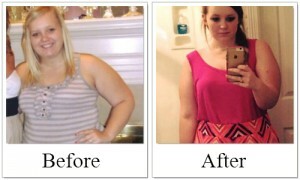 View her gorgeous before and after photos and read her decision to go to Mexico Bariatric Center. This is my before 304.2 pounds (June 1, 2015) and after 257.4 pounds (August 14, 2015). Seven and a half weeks out from surgery and down a total of 47 pounds! I can’t believe what a difference there is in such a short time. Thank you so much MBC, Dr. Cabrera and everyone on the MBC support page! I can’t wait to see where my journey takes me later in life. This patient lost over 116 pounds of weight in 10 months after vertical sleeve gastrectomy. She looks fantastic and contributes her success to aftercare support she received from Mexico Bariatric Center. I had Surgery at Mexico Bariatric Center on September 24, 2013. I am a healthcare professional, and I have nothing but praise for this center. Dr. Valenzuela was my surgeon along with her assistant, the Internist, and Dr. Miguel Garcia. My anesthesiologist was Dr. Gallardo. From the pick-up at the San Diego Airport to the check in at the hotel. Going to the clinic the next morning, lab draws, meeting my surgical team and having the surgery – all FIRST CLASS. Danny and Tatiana are there for anything you need…. Both doctors Valenzuela and Cabrera were excellent! Personable, knowledgeable, professional, confident, patient. My experience from our driver, host, all arrangements, doctors, nurses far exceeded my expectations. Thank you for such a wonderful experience. I’m home and feeling great and missing Tijuana, and it’s beautiful people. Christy, you have been so supportive and thoughtful during my journey. I know that I would have never traveled to Tijuana for surgery had it not been for you and your knowledge concerning bariatric surgery. I will never forget how you assisted me while making one of the biggest decisions I’ve ever made in my life! You were so right when you said that Dr. Valenzuela and Dr. Cabrera are the top bariatric surgeons in their field! They are very trained and skilled specialists who care for their patients. I trusted Dr. Valenzuela and Dr. Cabrera with my life and was completely at ease. They are real experts and in my opinion are the best bariatric surgeons in their profession! I will recommend them to everyone considering bariatric surgery (I’ve already had a few phone calls from people in my area). I loved Dr. Gallardo, Dr. V’s anesthesiologist, was marvelous! Dr. Gallardo spent so much time with me making sure that I was comfortable and that I understood the entire procedure. I’ve never been so cared for by a medical staff and will never forget my remarkable experience in Tijuana. The whole nursing staff was professional and accommodating. I have never had such outstanding medical care in my life! I was completely at ease the entire time at the MI Doctor Hospital. Daniel was so supportive while looking after my husband; I cannot say enough about Victor! What a gentleman and kind soul! The Hyatt Hotel was stunning, and I loved the high-end shopping center that was so close to the hotel. Everyone in Tijuana was so welcoming and friendly. What I saw was nothing like I thought Tijuana would look like. Tijuana is a beautiful place, and I will return. Christy, I was treated like royalty by the entire staff at the Mi Doctor Hospital also by Daniel, Victor and yourself. I will never forget the compassionate and kind-hearted people I met during my life changing voyage! I had my gastric sleeve surgery on May 15th, 2014, I have lost 90 pounds so far and have eliminated just about all of my medications. I am down to 206 pounds and hope to be down 100 pounds at my one year mark in May. My name is Gabriela Lavoy; I recently had the Gastric Sleeve procedure done by Dr. Carlos Diaz. It was an amazingly positive experience, in one month I am now free of insulin and blood pressure medication. Yes, I have lost weight but the health benefits that this surgery has brought into my life are much more than just loss of pounds. Not only did I want to thank the incredible team you put together who made my journey an amazing one, but I also wanted to give kudos to everyone one on an individual basis. My unparalleled patient coordinator, Cindy, is the one who put me at ease about traveling out of the United States for surgery. She probably went above and beyond to make me comfortable with my decision to the point where I would now call her friend. Dr. Valenzuela and her team did a delicate surgery, nd I recommend her highly whenever anyone on the support forum is searching for a surgeon, but mostly I want to thank you for making this all possible. I am now excited to see where my future takes me! It was one of the best decisions I’ve ever made, my self-esteem is now 100% up. All the clothes I have now are according to my age; I do not wear big clothes. I just feel better, I’m happy, and with so many goals to achieve. I just have a few months, but I am very happy with the results!! Everything was just perfect, I felt very comfortable with the surgeons. All the medical team, and the nurses in the hospital!! About the recovery, in just 1 week I was at school and in my regular life. I never had a problem with vomit or anything; it was excellent!! I feel very happy with my results!!! I’m really happy and healthy now!! Right after my surgery I started walking and swimming, that’s my best exercise!!! Thank you for all of your help, I’m married now and very happy! Thank you so much! Now from before the surgery, I did not have any health problems, but now everything is easier for me. Now I can walk, I can run, and do everything, and I feel just great. My surgery was very good, and I keep losing weight constantly, and of course I love the way I look today!! I feel very thankful with all of you, thank you so much! Are You Ready for Gastric Sleeve Surgery? We hope that these prove to be inspirational if you too are looking to undergo weight loss surgery. If you have any questions or would like to get started on your journey to gastric sleeve success, feel free to contact us and a patient coordinator will guide you through our process. Mexico Bariatric Center has helped hundreds to get quality and affordable Gastric sleeve surgery in Mexico. Vertical Sleeve Gastrectomy – (VSG) is a restrictive weight loss procedure that provides high expected weight loss. The gastric sleeve can help patients lose up to 70 pounds within six months. The gastric sleeve has been shown to reduce excess weight by 65%. Contact our staff to learn more about gastric sleeve surgery, and become a gastric sleeve success story today! * All of the testimonials are covered in our disclaimers. Individuals results will vary, there is no guarantee stated nor implied.